If you’ve always wanted to learn how to scuba dive, discover new adventures or simply see the wondrous world beneath the waves, this is where it starts. The referral system is great for people who don't really have the time to complete a full course before going on holiday or just don't want to dive in our "cooler" waters around the UK. 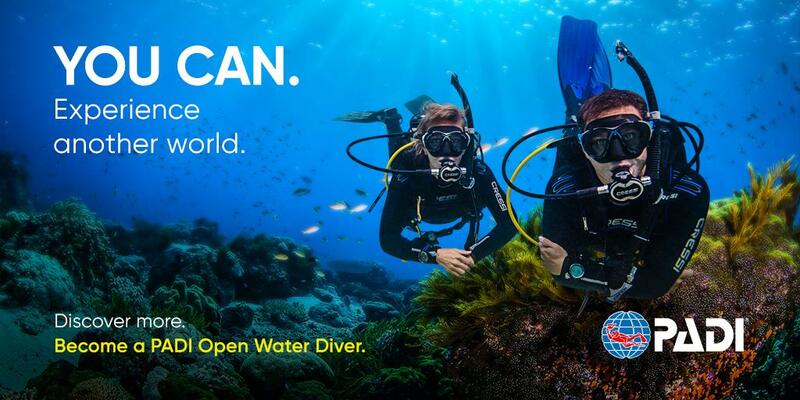 We don’t schedule course dates as our courses are tailored around our students so generally you can start the PADI Open Water Referral course whenever you want depending on instructor availability. The course costs includes all kit hire, pool time and PADI manuals, there are no other hidden costs. The course consists of four pool sessions. There are also two theory sessions which can be completed at your home or just before each session at the pool. The course although scheduled is relaxed and at the individual students pace with plenty of time to repeat skills so each student can get used to being under the water and practicing skills. We only ever teach a maximum of two students per instructor during our main pool sessions so there is never any rush or waiting around while other students complete their skills, please bear this in mind when comparing prices. If you feel you may need more time or would like your own personal instructor for the course, consider our fully private one-on-one option. We offer a much more personal service, turning you into a good, safe diver rather than just getting you through a course. DM Scuba "One day Boot Camp Option"
Our Boot Camp option is proving very popular with people with busy schedules, rather than completing weeks’ worth of one hour pool sessions over a month including separate theory sessions, why not complete the whole thing in one day! This can be completed on a Saturday or Sunday and it's held in a private pool. We complete all of the theory in the morning (or on separate evenings) and then jump into the pool for the confined water sessions in the afternoon. Everything completed in one day! Discounts are available for anyone who has signed up to PADI e-Learning and has associated the course to us through the online portal. Are you a little nervous? Would you like your very own personal instructor in the pool just for you? A complete one-on-one with your very own dedicated instructor in the pool with you, everything at your pace, want to take your time, not worry about other students watching you? To enrol in this courses you need to be at least 10 years old and able to swim at least 200m without stopping and be able to tread water for 10 minutes. By enrolling in this course, you are acknowledging that you are able to do that. You will also need to complete a standard PADI Medical form which may require a doctor’s signature to say you are fit to dive if you have any pertinent medical history. If you have never suffered from any of the conditions listed, you can sign it yourself. Open Water "One Day - Boot Camp"
These are all inclusive prices, you just need to bring yourself!